This Girl is Still Missing and Her Last FB Message Asked For 'help'! JOY DIANNE ORATA-ANCHETA, a student from the Polytechnic University of the Philippines, Manila is still missing. According to Facebook user Jojo Lindo, her family is still currently looking for her. Ancheta was last seen in Farmers Market, Cubao. She was asked to bring 3 cell phones to a repair shop at around 10 AM - 12 PM. 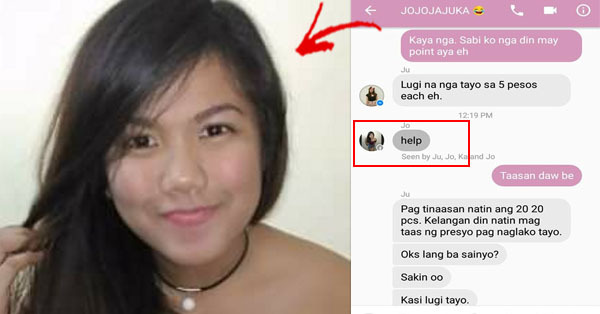 According to Mary Jane Todoc, she brought a cellphone and around Php 2,100 in cash. The student was confirmed to be missing for 24 hours as of this writing. She was able to send a Facebook message to her friend which merely said "help" at 12:19 PM yesterday. The 18-year old girl resides in Anonas, Quezon City. According to the comments section, her family still has no leads regarding her whereabouts. If anyone has any idea where she is, let the authorities know immediately!